When I asked our office "alpha geek" the other day whether he had QuickTime Pro installed on his Mac, his initial response was a blank stare. "Isn't that required to install Final Cut Pro?" he asked. Yes, but Apple's high-end video editing program costs $999. It is heart-warming to know that Apple throws in the $29.99 QuickTime Pro for free when one buys Final Cut Pro. I'm not surprised my dyed-in-the-wool Mac fanatic colleague hasn't met QuickTime Pro, even though he knows most every one of his Mac tasks depend on QuickTime, that it's been part of the Macintosh operating system for a decade, and that he knew to install the latest release QuickTime 5.0 as soon as it debuted. Yet, like most Mac users I know, he has little idea that QuickTime Pro exists, how its features differ from what all of us get for free, and why one should bother buying an upgrade available to most only from Apple's website store. QuickTime has become so successful that it's nearly invisible. Users take for granted seamless QuickTime support that provides the "movie" part of the Mac, and this is part of QuickTime Pro's image problem. Like the nearly invisible QuickTime itself, Apple has done a nearly invisible job promoting and explaining the value of upgrading to "Pro" this most successful Apple technology besides the Macintosh itself. Why Go Pro: If you've just installed QuickTime 5, or have just bought a new Mac, this screen will greet you on startup. If you want to enable editing features of QuickTime Player, or to save movies from the web, you need to upgrade to QuickTime Pro for $30. The "Why Go Pro" button links you to an information page on Apple's website, and will work only if you are connected then to the web. Granted, there's a pop-up "nag" screen imploring your QuickTime Pro purchase when you start using a new Mac, or when you install a new version of basic QuickTime, but it's more hassle than incentive to explore benefits of QuickTime Pro. Unless you are linked to the Web at that moment, a "Why Go Pro?" button linked to an Apple website page fails and you never discover the worth of an inexpensive upgrade to QuickTime Pro. Before QuickTime 3.0 arrived a few years ago, QuickTime was free. 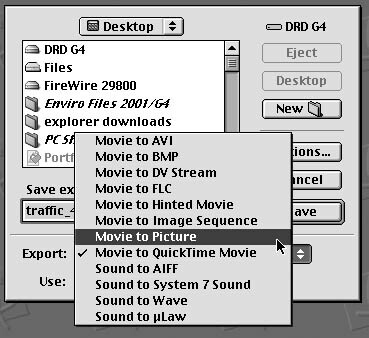 "Movie Player," a modest program from Apple, worked in combination with QuickTime system software to let you view, present, modestly edit, and save QuickTime movies. Movie Player has since been renamed "QuickTime Player." With the arrival of QuickTime 3, Apple gave users with a choice. Play for free. Edit and save for a fee. Even today, that's the essential difference between QuickTime basic and QuickTime Pro, but what you get for the fee gets better with each new version of QuickTime. 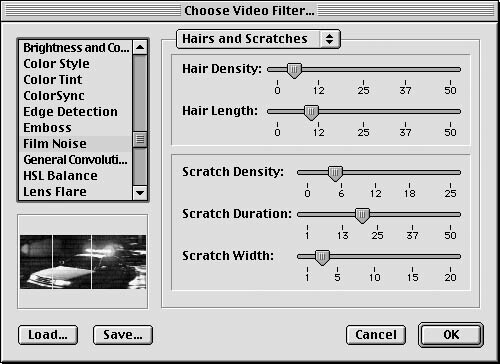 In recent versions Apple has added built-in video filters, effects, and transitions, the ability to import, convert, and export many new file types, and "Sorenson" compression, a new way to create high-quality movies that play from CD-ROM or in a web browser. If you have only QuickTime basic installed you'll never know these options exist. The latest version 5 offers a new semi-svelte look to QuickTime Player, support for spherical virtual reality movies using "Cubic VR", a feature called "Media Skins," which lets you use your own custom-designed frames on movies, and increased support for AppleScript to automate QuickTime Player. QuickTime 5 (version 5.02 or later only) also offers an improved "Sorenson 3" video compressor; the free basic Sorenson 3 version that now comes integral to QuickTime Pro offers quality about as good for making high-quality movies as the previous QuickTime 4-based Sorenson 2 Developer Edition that cost $500 alone. Files: Features available in the "File Menu" of QuickTime Player Pro, lower, show that you can import images, save, and export. None of these options are available in the File Menu of the basic version of the program, upper. In addition to a host of system level extensions and control panels, when you install QuickTime you also get three main user tools: QuickTime Player, Picture Viewer, and a QuickTime Plug-In for web browsers. Each works with the kinds of media its name implies. QuickTime Player plays time-based content like video, animations, audio, and slide shows. It also supports popular Macromedia Flash (.swf) for playback, though only up to version 4. Once you enable the Pro abilities of QuickTime Player, it becomes a versatile tool to view, import, present, edit, convert, down-sample, extract, and export files. QuickTime Player Pro's abilities are many, way beyond the scope of this article. I'll discuss here but a few of its many options. Slide Shows: You can create still image slide shows from folders of digital images. If you use a digital camera this is a great way to convert a day's shoot to a slide show for review or full-screen presentation on your Mac desktop. You start by importing a sequence of still images, typically a folder of images. QuickTime Player Pro asks what frame rate you want: examples could be 15 per second, or 3 seconds per frame. Once Player Pro has imported the images to create the movie, you save the file to disk. 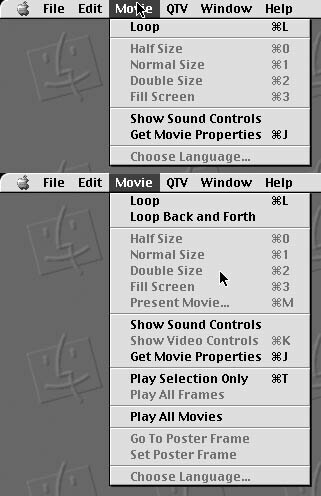 Movies: QuickTime Player Pro's "Movie Menu," lower, shows options for looping back and forth, presenting movies, accessing video controls, playing selections, and setting poster frames. None of these options are available in the basic program version, upper. You then use the Pro-enabled "Present Movie" command to show your movie: select a presentation size -- normal, double, full screen, or current; then hit the return key and all your Mac desktop and menu bars disappear. You get a beautiful black surround while pictures appear either as a continuous movie at preset frame rate or as a slide show you advance via keyboard arrow keys. If you have multiple monitors, you can choose which monitor will show the pictures, or movie. QuickTime Player Pro's presentation feature proves especially useful if you have a PowerBook with video output and want to show your images (or movies) with black surround as a slide show on a digital projector using the video mirroring option. File Conversion: QuickTime Player Pro allows you to convert movie files from one format to another, and you can resize and crop movies before export. QuickTime Player Pro lets you export digital movies to a host of video formats such as AVI, you can also convert movies to a series of numbered still images, and you can export individual frames from movies. For example, perhaps you have a DV format movie clip that you want a still frame from to make an inkjet print. 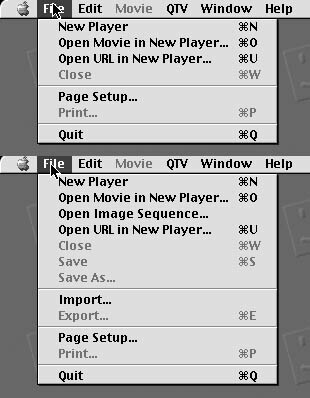 QuickTime Player Pro will let you navigate to the desired frame in the DV movie, and you can select the format for the exported still image: JPEG, Photoshop, TIFF, QuickTime still (in any flavor of compression,) and others. If you want to export only the sound of a movie to an AIFF or WAV file, Movie Player Pro lets you do that. If you need to convert a FLC or Flash animation file to QuickTime, or AVI, you can do that with QuickTime Player Pro. With QuickTime Pro and QuickTime Player you can also convert existing movies to a form that will transfer in short order across the Internet: if you have a DV camera and iMovie, for example, you can convert DV format files to smaller web-format movies. Conversely, you can use QuickTime Player Pro to convert movie files to DV format for use in iMovie and other DV format editors. Filters: If you have QuickTime Player Pro, you can apply a variety of video filters to existing movies and then export them as new movies with video effects applied. If you have the basic version of QuickTime, you will never see this box, as you cannot save or export from QuickTime Player. QuickTime Player Pro lets you import and convert tracks from compact disk (CD) audio to QuickTime, AIFF, or WAV. You can also import karaoke files into QuickTime Player Pro and maintain the text track. QuickTime Player Pro lets you import MIDI files, modify them (change instruments, for example) and save them as QuickTime audio, AIFF, or modified QuickTime MIDI. Not Real or MP3: Alas, you cannot use QuickTime Player Pro to create MP3 files (you'll need Apple's iTunes for that,) and you can't export or convert existing movies or files to streaming Real Media formats such as Real Audio and Real Video. There's only so much you get for your $29.99. QuickTime Player Pro does let you create QuickTime "hinted" streaming Internet format movies. I take a lot of digital pictures. QuickTime's Pro's Picture Viewer offers me a quick way to preview images, or groups of images. I achieve this via a Picture Viewer program alias on my desktop (I also keep an alias for QuickTime Player there too.) Anytime I have images I want to quickly preview, I'll just drag and drop the file (or multiple selected files) onto my desktop Picture Viewer alias, and there it is. Export: QuickTime Player Pro allows exporting movies to a variety of formats, including AVI and DV Streams, FLC animations and image sequences. You can also export single frames from movies to single pictures. The basic version of QuickTime Player allows no saving or export of files. Picture Viewer lets you view a variety of still graphics image formats, including BMP, FlashPix, GIF, JPEG, MacPaint, Photoshop, PICT, PNG, QuickTime Image File, SGI, Targa, and TIFF. Not only this, Picture Viewer Pro lets you easily convert and save images to any of the above file formats. Often I'll get images in JPEG format that I don't want compressed again, so I'll use Picture Viewer Pro to quickly convert a picture to TIFF, PICT, or Photoshop for later editing, or to more easily fit into workflow of a page layout program that supports only TIFF images. Picture Viewer Pro's speed in file conversion puts it ahead of other full-fledged imaging programs in my workbox when doing quick file conversions. For some, your $29.99 investment in QuickTime Pro may be worthwhile solely for the ability to save to disk downloadable movies posted on the web. I've been able to create a vast archive of movie trailers from Apple's website with the Pro-enabled QuickTime Plug In. My two little girls can clearly attest to the value of QuickTime Pro: fans that they are, they now view regularly a pair of movie trailers for the upcoming Harry Potter film. Without QuickTime Pro, I never would have been able to save these files for later playback offline, or to save the new preview trailer for Francis Ford Coppola's revised epic film Apocalypse Now Redux. Just to be clear, just as with RealVideo movies, it is not possible to save streaming QuickTime movies to disk, even with Pro-enabled QuickTime. You can save pointer files to these movies that reside on a web server, but you cannot save the self-contained files themselves. There's much more. I haven't even discussed the specific movie editing, assembly, and track extraction abilities of QuickTime Player. I haven't even touched on MPEG-1 streaming. I haven't even discussed the automatic component download feature now available that lets you update QuickTime to take advantage of new compression tools as they become available. Authors Judith Stern and Robert Lettieri have been producing these books for each version since QuickTime 3. (Before that they wrote the first ever book on QuickTime, published by the late Mac User Group BMUG of Berkeley, CA.) In a newly released summer 2001 edition covering QuickTime 5 Pro, Stern and Lettieri's latest Peachpit offering gives 414 pages of essential keys to unearthing QuickTime Pro's myriad possibilities. Now that Apple has a few company stores, with more coming, there's no reason why our favorite computer company can't increase the profile of QuickTime Pro. Last time I visited the Apple Store in McLean, VA, I saw nothing about QuickTime Pro: no signs, no brochures, nothing. Apple, why not sell QuickTime Pro CDs in your new boutique stores? Besides full QuickTime installers, you could load the disks with movies, video ads for your computers, tidbits about getting the most from QuickTime, and anything else to proselytize QuickTime and Apple Computer. We hear repeatedly that these new Apple stores are designed to raise the profile of Apple and the Macintosh to the buying public, to give potential users a chance to see and experience the greatness of Apple's products. How about doing the same for QuickTime Pro? There's no better venue than your own stores to do just that. Pi member Dennis Dimick of Arlington, VA, can be reached by email at ddimick@aol.com. Many of his previous Washington Apple Pi Journal articles on QuickTime and graphics-related topics are available at the Pi website: http://www.wap.org/journal/.